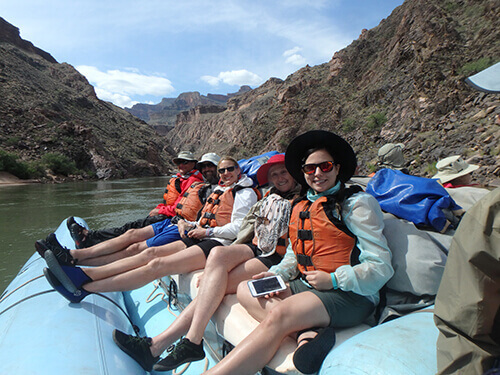 Grand Canyon Whitewater rafting is a unique adventure. 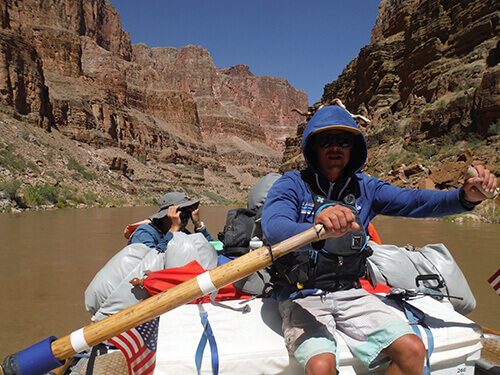 Once we embark into the canyon we are self-sufficient and self-contained for the duration of the trip. This means packing well is important as there are no stores to supplement things you may have forgotten. We have put a great amount of thought and care into our packing list and we ask that you trust our experience! 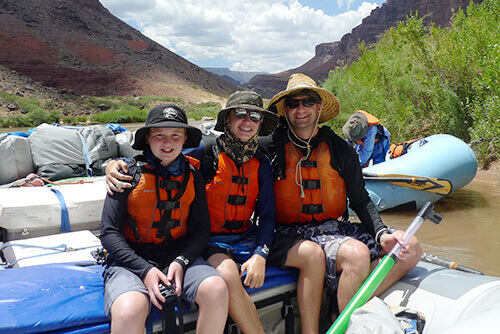 You probably already own the majority of what you’ll need for your rafting adventure but there are a few essentials you may need to purchase. On your excursion, you’ll raft world-class whitewater and explore waterfalls. Light-weight, moisture-wicking and/or quick-drying athletic clothes work very well when getting wet throughout the day. 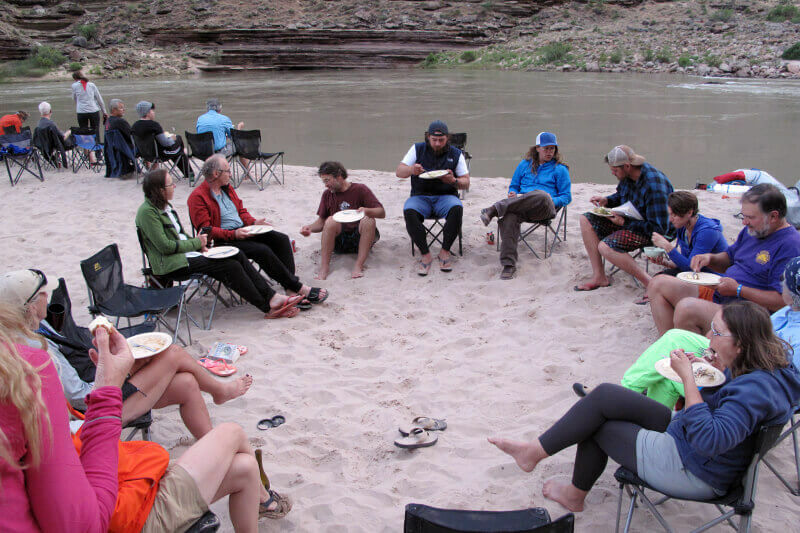 A lot of workout clothes also happen to be pretty good at keeping odor at bay, which might just score you a few new friends on your multi-day raft trip. You’ll want to start with quick-drying underwear or swimsuit/swim trunks. A 2-piece swimsuit or sports bra and underwear for women makes peeing into the river easier throughout the day. Next, cover up with a light-weight long-sleeve shirt and quick-dry shorts or pants. Many people tend to splash in the waterfalls and brave the rapids in this outfit. Add a wide-brimmed sun hat and sunglasses with chums to further your sun-protection measures. 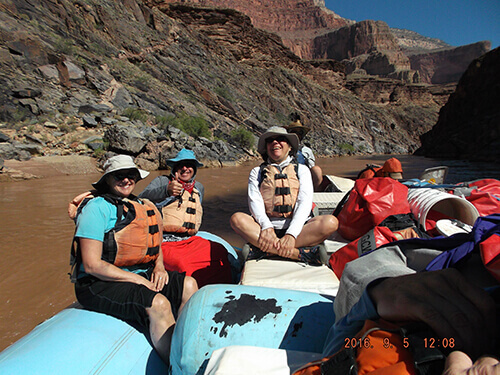 On the rafts you’ll be wearing river sandals or amphibious shoes. Make sure your shoes are broken in, have a sturdy and grippy sole, and a heel strap. For people on an oar trip or who are worried about cold feet, consider bringing neoprene socks. NRS makes a great pair that is super thin but also warm. You wear them just like socks: put them under your river sandals and you should stay pretty warm. 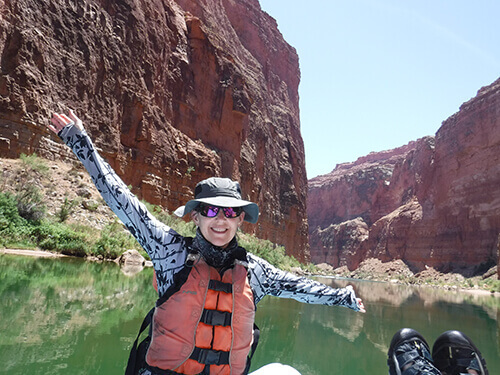 Over your river outfit and under your life jacket, you’ll wear a rain jacket (with hood) and rain pants. 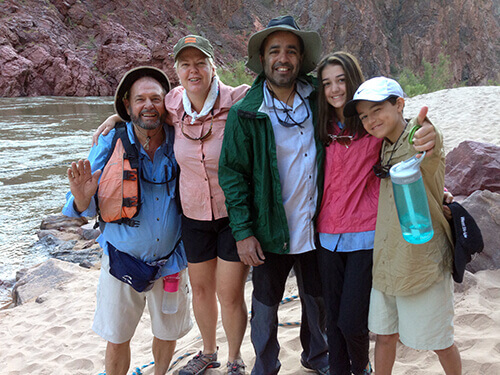 Rain gear is used by most guests, even during the hottest months. 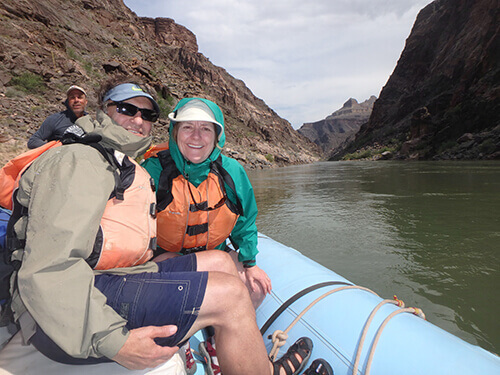 The Colorado River is always a cold 50 degrees F and rain gear acts as a splash guard between you and the frigid water. In general, you’ll start off each day layered in your quick dry clothing and rain gear. During early or late season trips, you may even want your fleece under your rain jacket. As the day warms up you’ll have the opportunity to take off your rain gear. Just give a heads up to your guides and they will let you know if the timing is right to do so. When not in use, store your rain gear in your day dry bag for easy access. Most guests wear the same clothing for multiple days. We’ve found that if you change out of your quick-dry clothing into clean (less dirty), comfy camp clothes you’ll be much more comfortable using the same outfit for multiple days. Camp clothes can be whatever you’re most comfortable in, the idea is just to change after hiking and getting doused with water all day. Women often find that a camp skirt or dress can be a good choice. 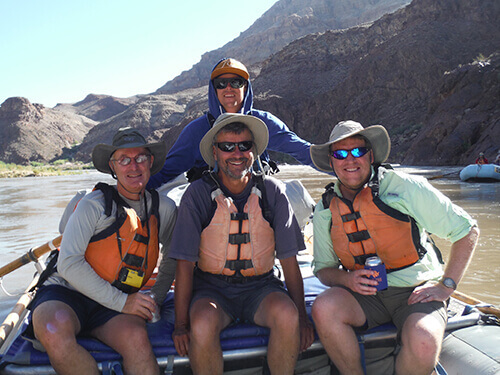 A good rule of thumb is to never wear your river clothes in camp and never wear your camp clothes on the river. 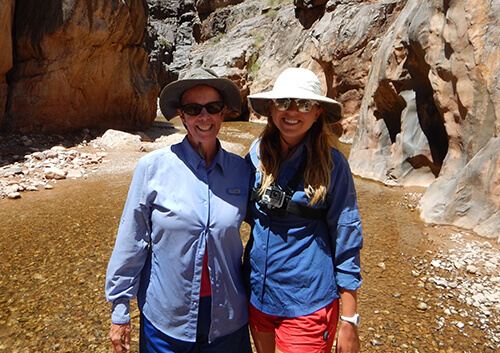 When you’re on your river trip, you might start to see a bit of a pattern when it comes to what kind of clothing the guides wear. 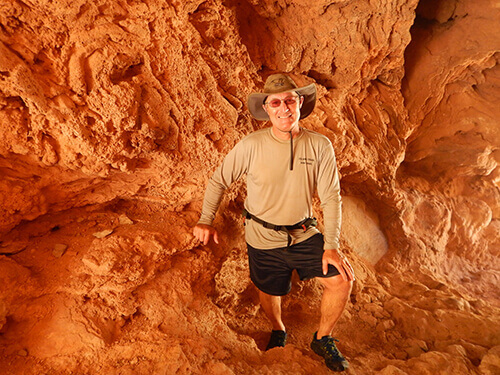 We’re not playing a cruel joke on you by recommending things like long-sleeved shirts, pants, socks, and hats with a wide brim — for one big reason: the Arizona sun can be brutal. There are some simple methods for dealing with the heat. If you get hot, dip your shirt/hat/bandana/sarong/self in the cold river! If you get a sunburn, though — there’s no quick fix. So, prepare yourself for that sunshine. Bring sunglasses, something to cover up with and bring a LOT of sunscreen. Most importantly, use it. Check your trip-specific packing list for all the clothing details and let us know if you have any questions!